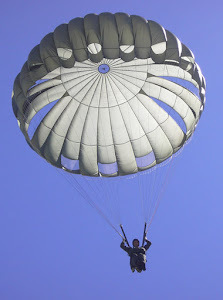 The Parachute: What is an OA journal? What is an OA journal? "Currently, the ISI Web of Knowledge includes 298 Open Access journals", according to Thomson Scientific. We also have the Directory of Open Access Journals (DOAJ), reporting (March 8, 2006) that it includes 2089 OA journals. What, however, are 'Open Access Journals'? Do they exist? What's the definition? Journals that publish OA articles, or journals that publish only OA articles? Same question with regard to Open Access Publishers. What does exist is publishers who publish journals in which open access articles appear. Not necessarily all the articles in a journal and not necessarily all the journals in a publisher's portfolio. Why the distinction? Well, by focussing on exclusively OA journals or OA publishers one risks overlooking - no, one overlooks - all the open access articles that are published in journals that are not exclusively open access. This was already foreseen in the Bethesda Statement on Open Access Publishing, in which the definition of open access carries the following rider: "Open access is a property of individual works, not necessarily journals or publishers." There is a fundamental issue here. Thinking in terms of 'journals' can be rather misleading, simply because of their extreme variability. (In the UK one measures one's weight in 'stones'. Stones? Any stones? No, of course not, stones with a defined weight.) It can mislead to notions such as 'OA journals are less/more prestigious than non-OA journals', or 'one is used less/more than the other'. It can mislead to the perceived importance of notions such as 'average price of journals', or even 'journal impact factor'. Journals are 'tags', 'labels', classifying, organising, tools. Lumping them and counting them and averaging them is fine as long as we realise that what we are concocting is a potage that may actually obfuscate rather than elucidate what the situation is regarding the constituent 'molecules' of scientific discourse: the articles.